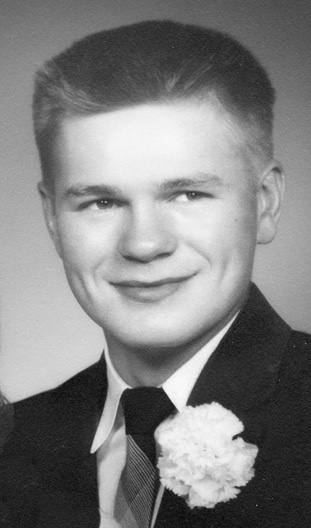 FLUSHING – Ronald K. Heikkinen, 82, of Flushing, passed away Saturday, November 12, 2016. A Memorial Service was held on Thursday, November 17, 2016, at 11 a.m. at North Flushing Baptist Church, 7500 W. Mt. Morris Rd., Flushing, with Pastor Dale Lewis officiating. Ron was born July 12, 1934, in Atlantic Mine, the son of Emil and Helia Heikkinen. He retired from GM Truck and Bus after 30 years of service. He was a carpenter, avid hunter and trapper. Ron is survived by his wife, Barbara of 58 years; three daughters, twins, Linda (Terrance) and Lori (Michael) and Lisa (Timothy); grandchildren, Erika, Elissa, Evan, Jacob, Alice, Samantha, Holly, and Jamie; great-grandchildren, Harrison and Lennon; brother, Harold; and numerous friends, who lovingly prayed through his illness and beyond. He was preceded in death by his parents; son, Gerald; and three brothers, Jake, Jamie, and Keith. In lieu of flowers, those desiring may make contributions to the Alzheimer’s Association, Gideons International, or the Arthritis Foundation.